Feel free to discuss all spoilers here. I have a question, after viewing this film, do you consider it a reboot or prequel? william-james88 wrote: Feel free to discuss all spoilers here. I feel that despite the Bayverse elements such as the young Simmons cameo, Sector 7, and Camaro Bee at the end of the film that their still going to use this film as the start of a reboot. The ending with Bee and Prime is what makes me think it's a reboot, on one hand you have Bumblebee with the Camaro alt mode yet he still has the cute robot mode (it's like vastly different from the 2007 old Camaro Bee) and Optimus is on earth with the whole G1 truck mode. They have also seem to have cut out the frozen Megatron cameo which fuels it as a reboot even more. Man, poor Cliffjumper, on one had I'm disappointed that they pulled a TFP on him so that even if this is a reboot they can't really use him again with the way he went out. On the other I can't even be mad with the way he went out, he was a brave soldier to the end and his murder truly makes the films Decepticons even more of a threat and gives us another reason to cheer when they get what they deserve. You raise a good point, I did hear a couple times that the design was a mish mash of G1 Megatron with the 2007 film Megatron. (Having the arm cannon but having a similar chest to 2007 Megatron is all I remember) but I also heard that the design was full on G1 Megatron. So overall I think the film could work as either a reboot or part of the already confusing Bayverse Timeline if the filmmakers wish it so. I thought it worked great as a prequel up until Optimus appears on Earth at the very end. I was really puzzled by that part. But I guess nothing about Optimus' appearance in the 2007 movie says that was his first time on Earth. He could've left Earth after the Bumblebee movie. If I remember right, Ratchet is in the movie, right? I guess there wasn't a good explanation with Ratchet and Ironhide's different personalities along with how different Cybertron looks. Deadput wrote: They have also seem to have cut out the frozen Megatron cameo which fuels it as a reboot even more. Where was this Megatron thing mentioned? 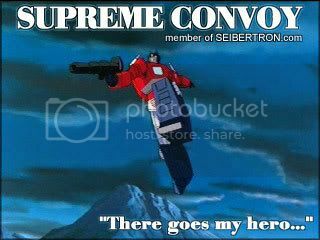 Last edited by Supreme Convoy on Sun Dec 09, 2018 7:50 pm, edited 1 time in total. From a person who saw an early screening back around March and is where a lot of early "rumor" info came from, the guy is legit and there were things changed from the early screening to the final movie for example no Cybertron scenes although that was probably due to them not being done at the time, Blitzwing getting killed by Sector 7, etc. Hopefully the UK cut scene is the Indiana Jones Crystal Skull tribute scene, forget duck and cover, just use fridges and waste bins!. Not sure why the initial comments from people over exagerated or lied about the cybertron scenes length, its a little over 3 mins. More of a reboot with Bees voice thing happening on Earth and not Cybertron or it could just suffer from lack of continuity like TLK. No way Blitzwing wasnt Starscream and a shame Cena isn't Silus or an apperance from Clancy Brown in the role would have been added iceing. The G1 Cybertron scenes look better on big screen than in the trailers but I still don't like any of the designs and how the hell is this supposed to please people? So the G1 designs the G1 fans like, will all turn into 'junk' designs if this is a prequel and all the fans of the Bayverse designs (such as myself) now find they all previously looked like blocky toy robot things on their home planet despite that aesthetic clashing completely with those of the previous films AND Shatter & Dropkick from this actual movie? Why does Prime already look very much like the red truck he'll take the form of? How come Megatron's 2007 form doesn't look remotely G1 then when that's his cybertronian mode (since he doesn't take an earth mode until Dark of the Moon)? Blitzwing had a cool voice and his face was alright but his robot mode was too jet kibbly for me (I've always hated obvious wings in robot mode). And now it's he who wrecks Bee's voice when in all movie tie-in fiction it was Megatron? All Transformers now speak english before even coming to Earth. Very jarring in the case of the Decepticons who in previous movies spoke 'cybertronian' most of the time even when on earth. Really lost that nice alien feel that speaking in their own language gave them. How long had Bee been hiding that he had a beehive and such under there. I dunno how long these things take but it seemed like more time than was otherwise alluded to. Charlie is likable enough but there's nothing all that interesting about her. And the whole dead dad thing is smacked right over your head to try make you cry but it's just too obvious. The diving thing is cheesy as hell and how she 'gets over it' after the final battle. Charlie's naming of Bumblebee was really cringe-worthy. I get why Bumblebee might be an odd name for an alien robot to already have but why was he just B127 when Optimus Prime and other Transformers have names already (like Megatron proclaimed defiantly in the 2007 film after people had been calling him mega man or iceman or whatever)? Charlie's family are totally forgettable. And that Ron guy can **** off with that smile book ****. The kid brother can too (and his 'cripple' line reminded me there was a wheelchair-bound young boy sat in front of me). Bee takes ten seconds and makes a fair amount of noise when transforming while he's in shot, but for 'comedic purposes' when the mother tries entering the garage he can instantly change back into car form with no sound at all while off-screen. I never cared much for The Smiths either, Bee. Bee in the house was tedious. Even luckily having a really tall ceiling didn't stop the place getting trashed, sorry Charlie's family. I smiled a bit when he had his door wings finally but then realised it's cos he was half transformed when I saw his lower body and the way he wheeled about. He just looks better with the door wings, dammit! Shatter must have scanned that muscle car super quick before she smashed right into it. Also I prefer Shatter and Dropkick without all the plane and chopper kibble. Just made them look messy. Shatter has a cool voice. Dropkick doesn't really do much except blast a couple humans into watery splashes and do a crap job of killing Bumblebee. Bee didn't explode into bits like every other dead bot in this film. Silly Dropkick. Young Seymour Simmons in Sector 7. I kinda grinned out of one side of my mouth at that one. Bland nerdy teen doesn't actually seem to be all that nerdy despite even having Fourth Doctor posters. So much unnecessary teen drama movie crap. We had some of this in the 2007 film but it was done a bit better then. I can't even remember if the 'hot guy' Charlie supposedly liked even did anything apart from be shirtless a couple times and jump off a cliff. Also 'The Touch'? Always hated that song. 'Dare' was the better Stan Bush song from the TF86 soundtrack. Also nobody wondered why the empty car blared out a loud tune for a couple seconds randomly. Movie needs to remind us it's in the 80s by constantly playing well known songs of the decade. At least it breaks up the schmaltzy score anytime the film wants us to 'feel'. And the attempts at humour in this film are mostly pathetic. Same goes for the blatant and hamfisted emotional bits. Dropkick apparently can be totally destroyed with human chains despite what he was about to say. John Cena is comic book style army guy who wants to kill Bee until, wouldn't ya know it, Bee saves him in his burning chopper after it got blasted and just so there's no confusion for Mr Cena as to who his hero is, Bee's face is right there in front of him during the whole rescue. Glad Charlie and 'nerd' didn't end up with a big kiss. She hadn't actually showed all that much interest in him other than friendship. She showed more romantic interest in Bumblebee. Even reluctant to hold his hand and saying they're not there yet was a nice touch. This movies had a lot of transformation scenes. Nice. Except with such a small cast it's just the same robots transforming again and again and again. Less nice. Ok so Bee is the camaro at the end and Sector 7 is a thing which are both exclusive to the previous movies... but all that G1 nonsense and now Prime is already on earth at the end rather than coming from space in 2007? Is this a prequel or a reboot or some X-Men First Class confusing timeline crap? How am I supposed to care about things if they retconned out of existence? Also how many endings were needed here? I thought it was gonna simply end with Bee driving off with the truck we could have assumed may or may not have been Prime. I came away from the other movies thinking stuff about the lore and histories and looking ahead to the next one. This one just has a one and done approach to it and really did nothing remotely interesting. It was so by the numbers. It was pleasant enough and passed the time (well, until the teen drama bits which draaaaaggged) and gave us a couple cool new Decepticons (well they're dead now but eh). I feel like I wanna give this a 6/10 and even then I feel that's too generous. Not my fave TF movie by a long shot. Each of the five previous ones just entertained me far more to varying degrees and had me eagerly awaiting the blu rays so i could watch them again and pause a lot to study all the details. I loved the robot designs and battles and vehicles in all of them far more than this one (Shatter and Dropkick get a pass cos they're quite neat). These be all the thoughts I've managed to remember after coming back home soaking wet from the storm. I need to get in dry clothes and rest. I'll still probably buy the movie on Blu Ray for the few things I did really like (and for completion's sake) but yeah... This certainly wasn't for me. Only two bits that made me balk, I get a constant eye twitch through most of the others (apart from TLK because my senses had been dulled by then to just enjoy a bad film). The waste bin and the tripple changers 'having' to change to Cars before Flight vehicles just to remind the viewers they are tripple changers (apart from the one scene with shatter at the end). I think because the chains had been interwined through Dropkicks transformation (as many of us had hoped Shia lebuof would when he was inside Bee transforming, and if not hia definitely most of the other humans...just get in the car simmons...get in the car...or even transformers...get in the car skids...just can get in the car...) that it had compromised his structure enough to be pulled apart. Barricade never died in the 07 film mind, he just ran away to come back again in tlk. Blitzwing is definitely dead, hes not like Prime and megs who can keep cheating death as for the after credits I'm afraid you are going to be very disappointed. Barricade did die in the novelisation of the film by Alan Dean Foster, it just got cut out of the film for whatever reasons. Much like how the Goonies book included the Giant squid (and the giant squid happened) because it was based off the script tho that was cut because the special effects weren't up to scratch. I'm these cases the films supersede the books, just like how people doing the tie in comics and prequels had to tie themselves in knots to make sense of things. Saw it yesterday, and boy am I glad I did. What a wonderful movie. Not perfect but definitely very, very good. The Cybertron scenes were awesome and I want a whole movie set on Cybertron now. Seriously, it was like the perfect combination of Movieverse and the WFC/FOC games. And Soundwave did the thing! Also it was nice to be able to instantly recognize the characters; I don't mind the heavy redesigns as much as some people do but I do appreciate the efforts made to adhere to tradition without going overboard. The acting was with a few very minor exceptions top-notch. Like, everyone was convincing and nobody was annoying- it was a vast improvement over the Bay films. Hailee Steinfeld as Charlie was brilliant. Like, Charlie is probably my favourite human Transformers character to date, and I'm a bit sad we probably won't see more of her. I was optimistic about her due to seeing her in True Grit (which she was very good in) and she didn't disappoint. The other human characters were in general a vast step up over the previous movies but Charlie stole the show. The robot designs were fantastic. My favourites were probably Dropkick and Shatter. Speaking of which, holy crap Dropkick and Shatter were hands down the best villains in a TF movie ever. They actually had personalities, which helped of course, but dear god they were so sinister. Shatter in particular was especially chilling. Please, Hasbro, give us more of these two in other continuities. The robot action was some of the best in any of the movies, which considering the smaller budget is impressive. Like, the final fight between Bumblebee, Dropkick and Shatter was masterfully done; dynamic without resorting to shakycam or being incomprehensible. The story was simple, but it did the job- it wasn't dumb by any stretch, but it didn't try too hard to be complex/"deep". It was exactly what it needed to be, and not focussing on a MacGuffin for once was pleasant. Whilst I can't really comment as I wasn't there, it seemed to do a very good job of representing 1987. I never for a moment thought "Hang on, that looks out of place...". Whilst this didn't hugely bother me (my mum...not so much) the movie did come across as a little bit sappy. I mean I get it, it's meant to be a family friendly flick, but it did seem a bit too keen to be heartwarming and emotional- which to its credit it did pretty well, but if you don't like that kind of thing then you ain't gonna have a good time. Speaking of family-friendliness, for a PG rated film it was pretty dark in places. Most obviously, it had Dropkick's gun literally liquidating humans (which was a really effective way to do "bloodless carnage" IMO) but the backstory about poor Charlie's dad was pretty heavy stuff too, and the amount of peril poor Bee was in at times would probably upset small kids quite a bit. And poor Cliffjumper! The only thing I can say was objectively bad was the opening bit with the soldiers in the woods. The acting was a bit...crap. It's absolutely worth watching- if you're a jaded Bay veteran it's a breath of fresh air, and honestly for a first-time watcher of Transformers it's a great introductory point. It's just a really, really good movie. I know Travis Knight said he's not going to direct any more TF movies but I really, really hope he changes his mind, because if we get more like this I'll be a happy man. Last edited by Black Hat on Tue Dec 18, 2018 11:17 am, edited 1 time in total. It's a PG-13 rated film, not just PG. Otherwise, great review! Btw I love heartwarming and emotional films so I think I'm going to have a great time. FYI, this being the spoiler thread, you do not need to censor anything. whole swathes of this is up on youtube right now. seems to be a combination of someone secretly recording a US showing and a ruskie one. man its bizarre to hear optimus prime talk in russian. kinda surprised HASBRO aint striking em down TBH. That's pretty much illegal so good luck with anybody here publicly telling you anything. I may be late to this party, but I just saw the movie. Overall, I liked it, but it was nothing to get crazy over. Kinda like a lighter version of the 2007 movie. It's definitely aimed at the younger crowd. Nonetheless, the action scenes were top notch, and even Cena wasn't half bad. Much like the Bay movies, there was way too much humans and not enough Transformers. But I can deal with that, as the story was decent. I could have done without all the attempts at romance between Charlie and whatever that guy was, and I'm glad it didn't go any further. It was too much as it was. I did like the beginning sequence, I could watch an entire movie of that, even if it's straight to DVD/streaming. Nice cameos by some characters. Hopefully if there is a sequel, they focus on the Cons a bit more. The 2 in this movie seemed to be just generic bad guys, no personality whatsoever. Also, the sequel needs a Hot Rod scene at least. I don't regret seeing it, but probably won't watch it again. 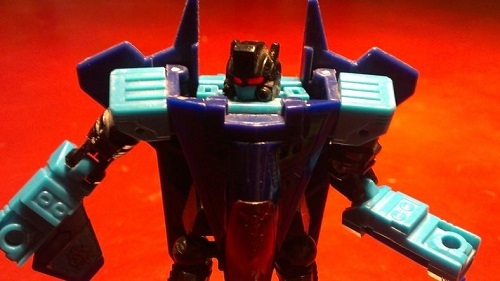 Rodimus Prime wrote: I may be late to this party, but I just saw the movie. Overall, I liked it, but it was nothing to get crazy over. Kinda like a lighter version of the 2007 movie. It's definitely aimed at the younger crowd. Nonetheless, the action scenes were top notch, and even Cena wasn't half bad. Much like the Bay movies, there was way too much humans and not enough Transformers. But I can deal with that, as the story was decent. I could have done without all the attempts at romance between Charlie and whatever that guy was, and I'm glad it didn't go any further. It was too much as it was. I did like the beginning sequence, I could watch an entire movie of that, even if it's straight to DVD/streaming. Nice cameos by some characters. Hopefully if there is a sequel, they focus on the Cons a bit more. The 2 in this movie seemed to be just generic bad guys, no personality whatsoever. Also, the sequel needs a Hot Rod scene at least. Mate, the budget of the movie was only $102 million so you couldn't expect a lot of transformers. They needed the humans to bring down the cost. But the story was much more decent than Bay's. Another problem with this film was the music. The music could have been more galvanising like the main theme of the Pacific Rim. Faces like Cliffjumper is what you get when you want them to have the designs be like the originals. The AOE Autobots, especially Crosshairs have already shown us the result of this kind of design. Liquid faces don't work in live action this is why they went with the metal "insect" faces in the bay films in the first place because the liquid faces are too uncanny because Transformers are just digital CGI creations their not real any attempt at making their faces be "metal humans" will look awful.